In what might just be the saddest business deal of all time, mobile carrier Sprint announced Monday that it has acquired a 33 percent stake in Jay Z’s music streaming service, Tidal. Tidal is best-known as the Spotify-wannabe service “run” by artists. Not even a Beyoncé exclusive (that landed on iTunes a day after it launched on Tidal) could win this over-hyped streaming service customers. Meanwhile, Sprint is best known as the carrier that only Michael Nuñez bothers to use. Neither service is particularly popular with customers, which makes this partnership sort of poignant. And if you think about it, Sprint is the perfect partner for Tidal, a streaming service that is less popular and costs just as much as its competitors—but with the added benefit of offering Jay Z’s seminal album, Reasonable Doubt. Sprint also likes to live in the past by employing the guy who used to say, “Can you hear me now?” for Verizon. News of the deal comes just one week after a lengthy report in the Norwegian newspaper Dagens Næringsliv accused Tidal of inflating its subscriber numbers by more than 200 percent. While Tidal claimed to have more than 3 million paid subscribers, Dagens Næringslivsays internal documents show that the company only pays record labels for a little over 1 million users. The story from Dagens Næringsliv shows even more signs of a company that is struggling for relevancy. 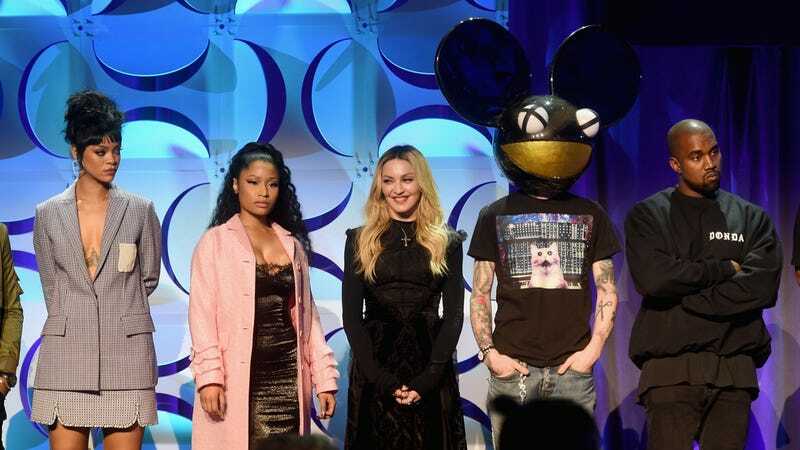 Along those lines, reports in The Wall Street Journal and Dagens Næringsliv indicated last year that Tidal was losing a ton of money and was having a hard time paying its bills. Prince’s estate also filed a lawsuit against Tidal, claiming the service didn’t have permission to stream certain albums from the late artist’s back catalog. When even one of the estates from one of your “owners” (at Tidal, the big name musicians also have an “ownership stake” in the company) is suing you, it’s bad times. So in a way, this deal makes perfect sense. We know Apple doesn’t want to buy Tidal—no matter how much Kanye begged—so what company would be dumb enough to invest in the once star-studded service? America’s saddest wireless carrier.